Gemini Lake mini PCs have been around for a while, but not quite at the price most expected, that is roughly the same as Apollo Lake, possibly due to shortages of Intel’s entry level processors. So for example, I had yet to see any Gemini Lake computers for under $150, with with Black Friday taking place now, GearBest decided to offer Alfawise T1 mini PC powered by an Intel Celeron N4100 quad core processor for just $149.99 with coupon GBJEAN. The coupon is valid until December 31st, but only 20 units are offered at this price. Out of curiosity, I also went to Aliexpress to find out whether sub $150 “non-barebone” Gemini Lake mini PCs were available, and indeed Beelink S2 computer based on the same Gemini Lake N4100 processor is sold for $142.99 shipped by a reputable seller. 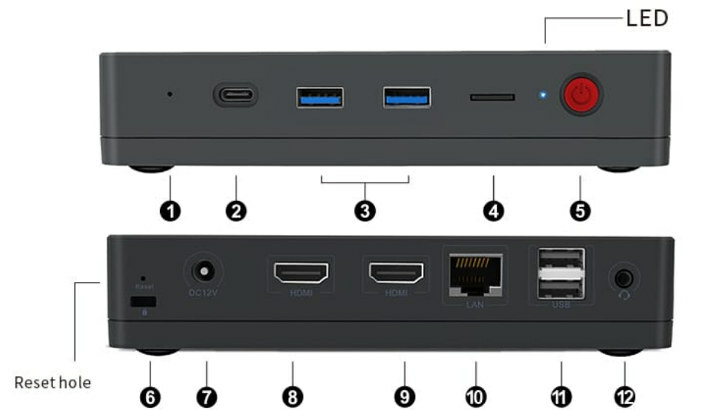 Alfawise T1 should actually be the same product as Beelink S2, with both having the exact same features and enclosure. This mini-PC absolutely flies with Lubuntu 18.10 (LXQT).